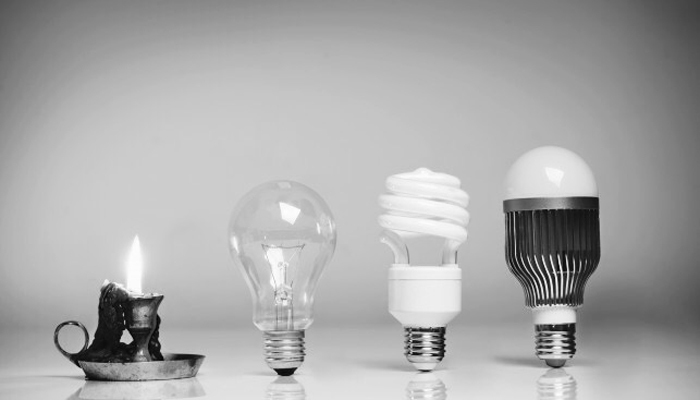 Adapt or Die Trying: The What, Why and How of Innovation - IRM Connects, by IRM UK | IT Blog. In this blog I asked Jake Chambers @MrJake74 to share his perspective on innovation, and in particular, to discuss why he believes organisations sometimes struggle to maintain innovative behaviours at scale. This is a subject Jake has much experience with, having developed and implemented an approach that revitalises large organisations by infusing them with the agility and creative dynamics typically seen in tech start-ups. Jake currently works with me in the Financial Services sector, and prior to this he has held strategic advisory positions in both telecommunications and management consulting. There is a lot of noise and activity around innovation at the moment. Small and large companies alike are clamouring to prove their innovation credentials. In my industry, financial services, incumbent banks and building societies are at pains to promote their innovative new services, channels or partnerships with innovative financial technology start-ups (so-called FinTech). Innovation consultancies are selling their expertise, design-thinking frameworks and idea crowdsourcing software. But why is this happening now? Is it all hype? Is innovation really such a strategic priority? it gets applied to change something. Is innovation just for the usual Silicon Valley tech suspects? Many celebrated academics and experts have theorised over the importance of innovation to drive economic and social progress, from Joseph Schumpeter’s theory of “creative destruction”, through Clayton Christensen’s “Disruptive Innovation” to Peter Drucker’s view that innovation “is the means by which the entrepreneur either creates new wealth-producing resources or endows existing resources with enhanced potential for creating wealth”. Of course he was referring to species and their evolution in response to the changing environment. Living things may remain unchanged for thousands of years but they all face a material change in their ecosystem eventually. When this happens, they have to adapt or they might end up being competed or hunted into extinction. This stark analysis can equally be applied to the world of organisations. When an organisation’s environment (customers, competitors, regulation or technology) changes it has to evolve or risk becoming ‘extinct’ or obsolete. When that change involves something genuinely new, we call it innovation. There is already much said about the pace of change we’re experiencing in today’s world. Technology and social trends have colluded to create an environment where greater access to skills, resources and money means new businesses can emerge to challenge established industries faster than seems possible. Nokia grew from relative obscurity to dominate the nascent global mobile phone market only to be displaced itself by the even more rapid growth of Apple (and others who largely copied Apple’s basic formula) with an approach more suited to the emerging world of the mobile Internet. Tesla Motors is another stark example. Barely a decade old, Tesla seemed to appear from nowhere (actually it appeared from a garage in San Francisco) and it’s forcing the established industry to adapt and innovate. So for me at least, there is little question over the need to innovate, now more than ever. Why is this such an issue for large enterprises? Some large enterprises are great at innovating but for most innovation is hard and disruptive. I put the blame for this firmly at the door of two fundamental characteristics of large businesses. First, large businesses are organised to repeat the same processes that create and support the products and services designed for today’s market place. They are designed and streamlined to repeat a known recipe over and over again as efficiently as possible. Unfortunately when it comes to innovation, they need to experiment with and develop new recipes. When you have been trained to keep your head down focused intently on measuring out the precise amount of castor sugar and passing the mixture to the next person as quickly as possible, you are not thinking about whether it might be good to try caramel. (Am I taking this analogy too far?). Second, large enterprises are, well, large. They are a victim of their own success and perpetual march towards efficiency. In a large organisation, communicating a change in direction is hard and takes time. Especially when those receiving the message need a lot of persuading to abandon a process or task they have been doing, and rewarded for, over a long time. As the overarching goal gets broken down into lower level tasks and targets to make them more directly applicable to smaller teams or individuals, they start to become the mission themselves. People get isolated from the real goal. So when we try to change these tasks to a better reach the goal, we face resistance. If large organisations want to innovate they need to re-learn the agility and flexibility that they had as small start-ups but have long since abandoned (for good reason). This can be done (I’ve seen it) but it requires a conscious, sustained effort from the leadership and is doesn’t come free. But when facing industry-wide change, I suggest organisations need to adapt, or die trying.